The MedVents started 2015 in the City of Markham and migrating to the City of Richmond Hill where we are located today. 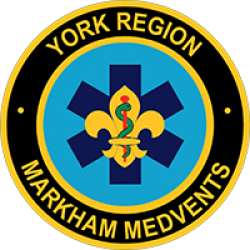 Our group, 1st Markham York Region MedVents, also known as Markham MedVents, offers both a Scouting and a Vocation program. We encourage current Scouting members to remain registered with their current group and have Markham MedVents as their cross-registered group. In this case, you can attend our meeting for the vocational program. Your Scouting program will remain with your primary registered group. We have a partner group in the Newmarket area, located in Sharon Ontario. When working together we are called the York Region MedVents. Both of these groups are sponsored by York Region Paramedic Services. The aim of this site is to provide information about the Markham MedVent program. Our group is located in the York Headwaters Area within the Shining Waters Council. The Duke of Edinburgh’s Award’s ceremony for the 2018 Ontario Silver Award of Achievement was held at St. Andrew’s College in Aurora. The awards were presented by the Honourable Elizabeth Dowdeswell – Lieutenant Governor of Ontario, Tony Cox and Kevin McHenry, Headmaster – St. Andrew’s College. Registration for the 2018-2019 Scouting year has begun. The first meeting of the new session is on September 12, 2018, at our Richmond Hill United Church (RHUC) location. MedVents is a Scouts Canada vocational program. Following the success of last years event, 1st Markham York Region MedVents, members of York Region MedVents, announces their second annual Beaver Emergency Aid Day. (BEAD) . The event is scheduled for April 7, 2018, at the York Region Paramedic Services headquarters. Formally this event was called Beaver First Aid Day. 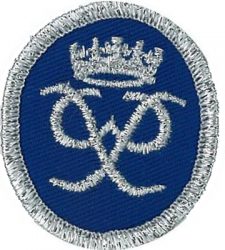 The name is changed to meet the Canadian Path badge names. We will be holding our Fall intake night on September 14, 2016 at our Richmond Hill United Church meeting location. We are starting at 7:00 PM and plan to be finished to later than 9:00 PM. A number of our members attended a camp in Algonquin Park with a number of Scout groups. This has been an annual camping where the scouts experience sleeping in tents, cooking outdoors, take in a hike and go for a day canoe trip. A number of years ago several MedVents and Scouts at this camp were awarded Scouts Canada's Medal for Meritorious Conduct for a rescue. Six Markham MedVents joins 1st Downsview MedVents at the 2015 Toronto Santa Class Parade. The members enjoyed themselves tremendously. They had to get up early on Sunday to get to the rallying point by Christie Pits in Toronto. Before the parade started we had learned how to march and carry the flags properly for the parade. After a long walk, we all got to enjoy some pizza!!! On Sunday, November 8th, the new Markham MedVents gathered on Yonge Street to show their support and respect in the 2015 Richmond Hill Remembrance Day Parade. This was our first Remembrance Day Parade. I would like to thanks all our members who participated. 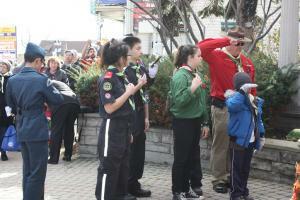 We wish to also thank the Town of Richmond Hill and to 5th Richmond Hill Scout group for inviting. Our first haunted experience service event was with The Royal Astronomical Society of Canada Toronto Centre" at their annual event Halloween Haunted House held at the David Dunlop Observatory. We started off with providing first aid coverage for the event. At the end, we assisted with the rest of the event. We loved this haunting experience. We cannot wait for next year's event. 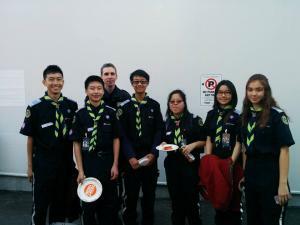 The Medical Venturer vocational program, MedVents, program adds a new group in the GTA (Richmond Hill & Markham) area. 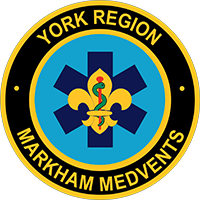 The new group, 1st Markham York EMS MedVents, is in located in the York Headwaters Area within the Shining Waters Council. Below is their meeting information. Copyright © 2016-2018, MedVents.org. All rights reserved.